Point2 Homes gives you far more than a simple list of houses for sale. Get instant access to a lot of relevant information about Windsor, ON real estate, including property descriptions, virtual tours, maps and photos. The search results pages also have a wealth of information on Windsor, ON, if you scroll all the way down. 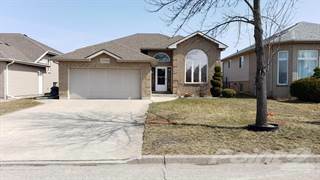 There are 355 houses for sale in Windsor, ON. Searching homes for sale in Windsor, ON has never been more convenient. With Point2 Homes, you can easily browse through Windsor, ON single family homes for sale, townhomes, condos and commercial properties, and quickly get a general perspective of the real estate prices. Also, you’ll never miss a bargain if you filter listings based on house price drops in the past six months. 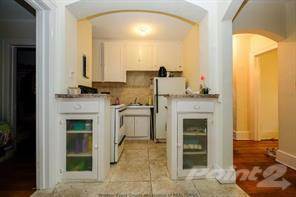 Use the map view to find Windsor, ON homes and apartments for sale, based on amenities or city features that you may want close by. You can close in on a specific neighbourhood or area by simply drawing around them with the polygon or radius tools. Stay informed about the latest entries on the real estate market by saving your searches. This way, you get new listings in your inbox, daily or every week, based on your preferences. If you’d like to get in touch with a professional, agents are displayed next to their listings, and they’re easy to contact through the online forms. If you want more options, you can click the Tools tab and Find an Agent, and you’ll get a list of helpful and knowledgeable real estate agents in Windsor, ON. Visit the Point2 Homes blog and you can find up to date expert advice on many markets throughout Canada, regular market reports, neighbourhood scoops in cities throughout the provinces, real estate deals and useful recommendations. Windsor is the southernmost city in Ontario and is located on the shore of Detroit river, directly across Detroit, Michigan. Windsor is an important contributor to Canada’s automotive industry. The city has a population of approximately 211,000 people and a surface area of 56.5 square miles. Windsor is often called "The City of Roses" due to the large number of roses planted within the city limits. Nickname(s): "The City of Roses"
Windsor has seen continuous economic growth in recent years. Driven by manufacturing and tourism, the economy has also fueled the local real estate market, which has seen big year-over-year growths. Also, the cost of living in here is much lower compared to the Greater Toronto Area and the surrounding areas, which makes Windsor an attractive place to relocate to. Windsor is comprised of 4 main sections: Downtown, East End, West Side, and South Side. There are many safe and attractive neighbourhoods throughout the city, among which some of the most popular include South Windsor and Riverside. The real estate landscape is mostly comprised of houses rather than condos, even in the City Centre. Downtown Windsor is the area where most of the city’s businesses are located. Neighbourhoods here include Heart of Windsor (which is the official name for Windsor’s Downtown Core), Little Italy, Walkerville, and South Walkerville. South Walkerville is one of the oldest residential developments in Windsor, while Walkerville is home to some of the most beautiful historic buildings in the city. The West Side is rich in history and architecture and is home to the University of Windsor, which is located in the Bridgeview neighbourhood. The Ojibway neighbourhood in the south-western part of Windsor is mainly a semi-rural area. In East End, some notable neighbourhoods include Forest Glade, Fontainebleau, Little River Acres, Riverside, and Roseville Gardens. Forest Glade was built in the 60s and 70s, and it was the place to be at that time. Before the 60s, the neighbourhood was farmland. The real estate landscape here consists mostly of single-family houses and condo buildings. Fontainebleau is dominated by homes built in the 1950s and 1960s, while Little River Acres consists of single-family homes built in the 1970s. Most of the homes in South Windsor were built starting with the 1950s. Predominant here are ranch-style and large, new homes. Windsor is one of Canada's hottest real estate markets. The average home price in Windsor in 2016 is $217,000, climbing steadily month after month. Most frequent listing prices are $100,000 - $140,000, followed by $140,000 - $180,000, and $180,000 - $220,000.